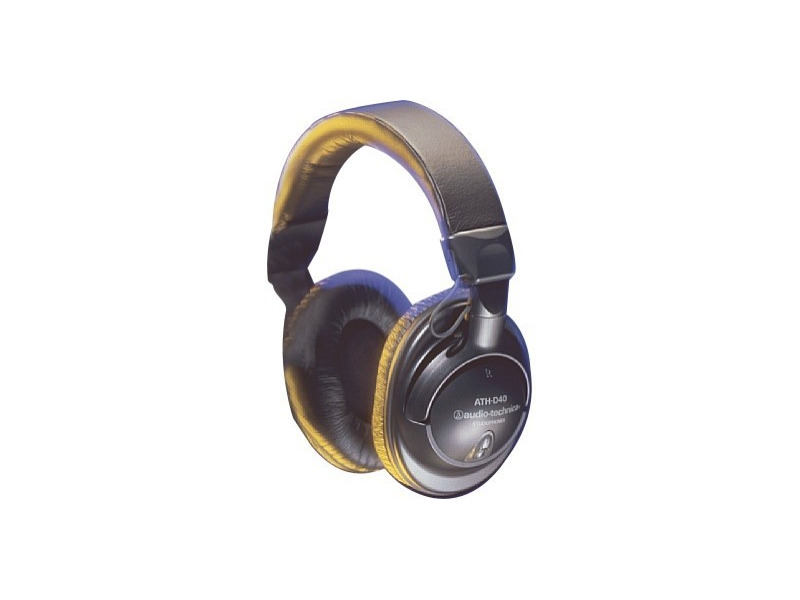 The ATH-D40fs is a circum-aural, closed back dynamic headphone with enhanced bass response. The headphone features 40 mm drivers and is capable of handling high power outputs from headphone amplifiers. A high sensitivity rating means the headphones will function well in noisy environments. Drivers, ear pads and cables are all field-replaceable, and rotating headphones make the ATH-D40fs easy to use for one-ear monitoring situations.